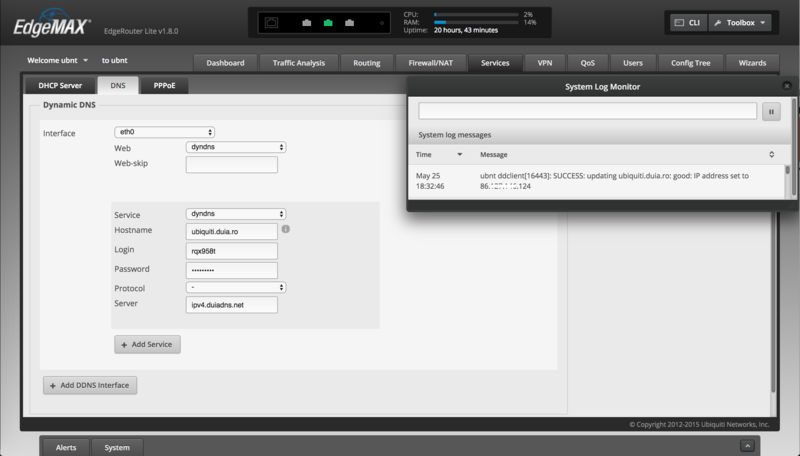 You can use Duiadns on Uniquiti router directly from the web interface. Web: Select "dyndns". You can also select "URL" and "http://ipv4.duiadns.net". The ideea is to use a website that returns your ip address. @Antonino Sidoti: Is it clear now? Did you manage to use duiadns on your ubiquity router? I just sent a message to find out about this very issue. Sorry I should have read your FAQ first.